Is there any way to extract or rip MP3s from Spotify songs? Life is not complete without music. And Spotify just provides millions of music to soundtrack your entire life. As a comprehensive music streaming, podcast and video service, Spotify provides a variety of content from record labels and media companies. It operates with two music streaming tiers: Spotify Free and Spotify Premium. Though the paid Premium subscription removes advertisement, improves audio quality and allows users to download music for offline listening, it does not support users to extract MP3 files or download Spotify music as MP3s. This always troubles Spotify users who want to download their Spotify playlist to obtain the mp3's for making an audio CD to play music in car. You may see many questions on how to extract MP3s from Spotify or how to download Spotify songs as MP3 from various forums. Here the article will introduce you a powerful MP3 Extractor for Spotify to help you rip MP3 files from Spotify songs and provide a step-by-step guide on how to use this MP3 Extractor. 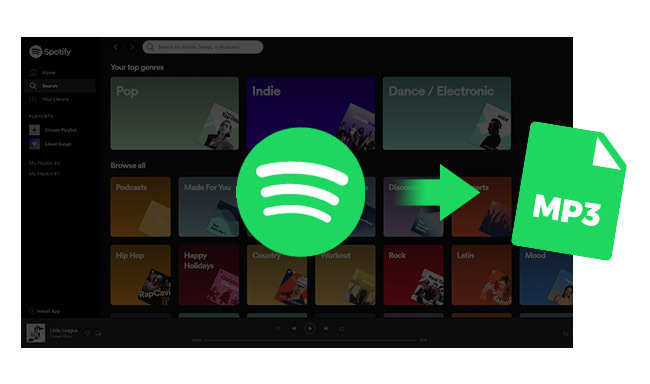 The following guide shows you how to rip MP3 files from Spotify music for obtaining them as MP3. You can read the step-by-step guide from the following steps. You need to download a MP3 Extractor for Spotify to help you extract MP3 files from Spotify tracks. 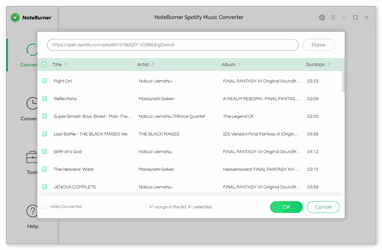 NoteBurner Spotify Music Converter can do exactly what you want. It can help you rip MP3s from your Spotify music at the same time keep lossless quality. • Ease to use and support batch conversion. Click the "Add" button in the top-left corner of the interface to add the Spotify songs or playlists you want to download as MP3 to NoteBurner Spotify Music Converter. Drag-and-drop method is used to add music. Directly choose the music you want to extract MP3 files, and then drag and drop them to NoteBurner add music window to finish adding. 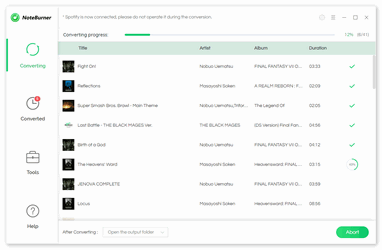 The added songs will be listed in the main interface of NoteBurner, with information like artist, album, duration and genre displayed below. Afterward, please go to the NoteBurner preferences by clicking the Setting button in the top-right corner or by clicking menu bar NoteBurner Spotify Music Converter > Preferences. You can set the output format (MP3 is available), output quality, conversion speed and output folder in this panel. 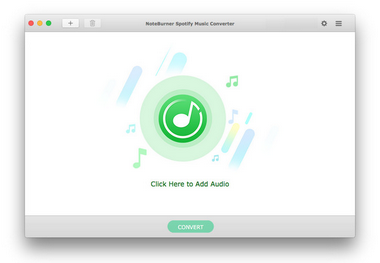 Click the "Convert" button to convert the Spotify music to MP3. After conversion, you can click the History button to find the MP3 files. Then, you can do whatever you want to do with the MP3 files which are extracted from Spotify music, you can burn them to CD for your car player or you can transfer them to any of your MP3 player for listening. After the above 4 steps, you can get MP3 files from Spotify music. What's next? 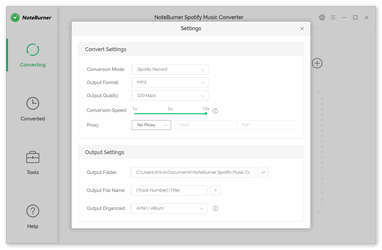 Download NoteBurner Spotify Music Converter now!